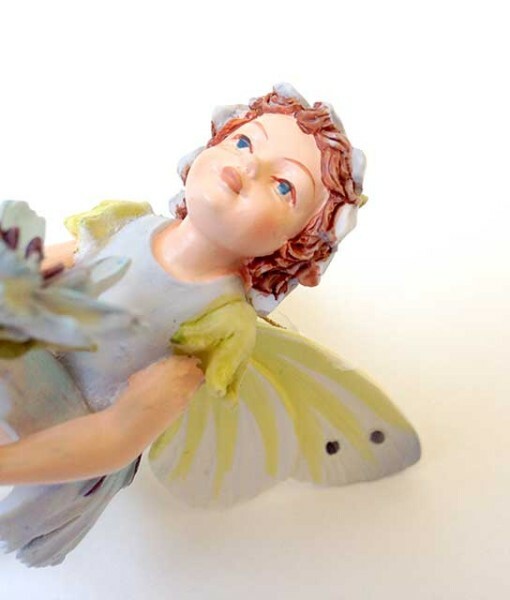 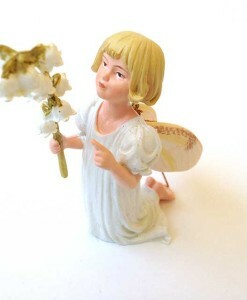 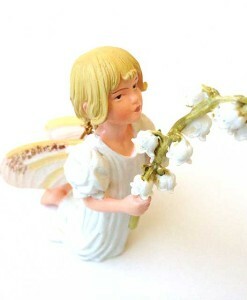 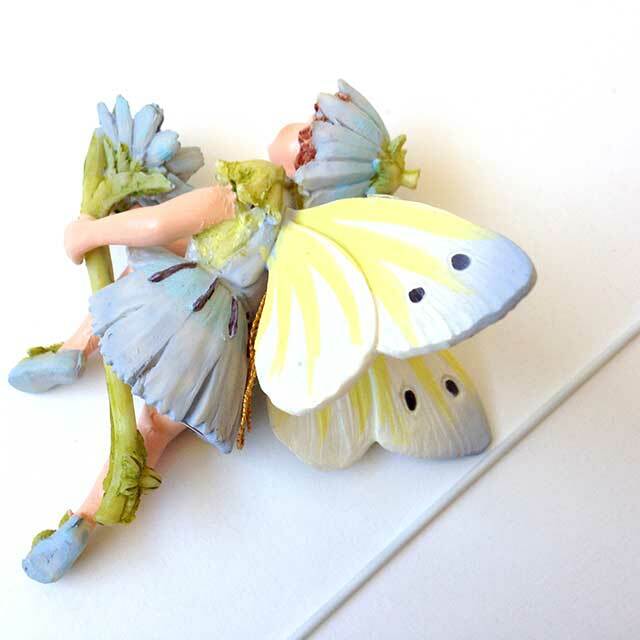 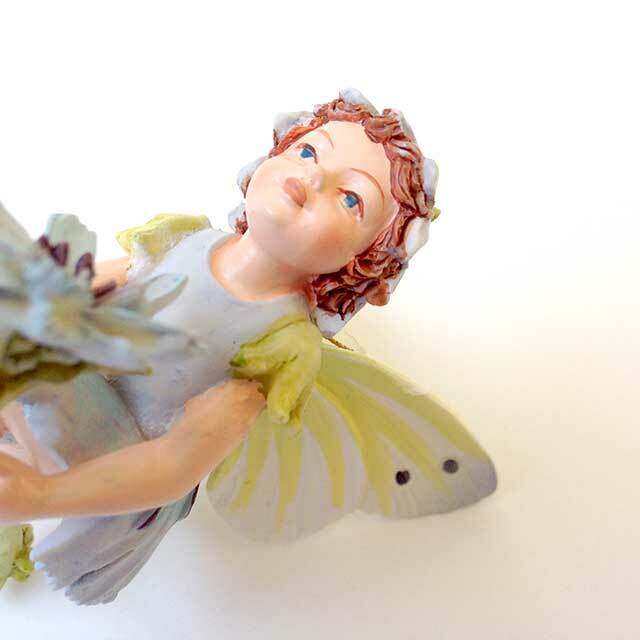 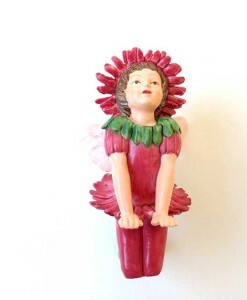 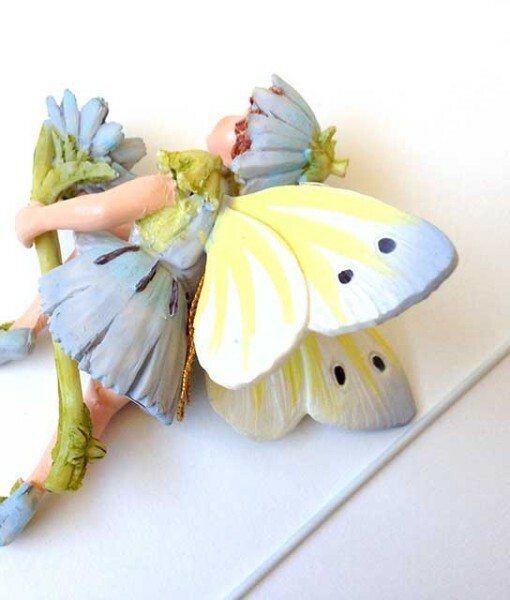 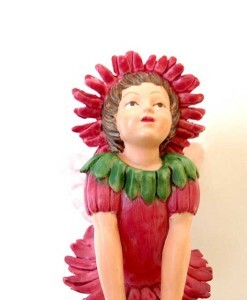 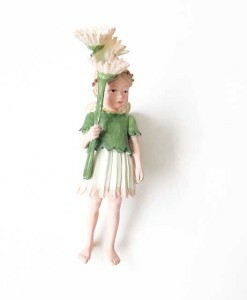 Chicory is one of our favorite flowers in late spring, and this Chicory Fairy figurine thinks so, too. 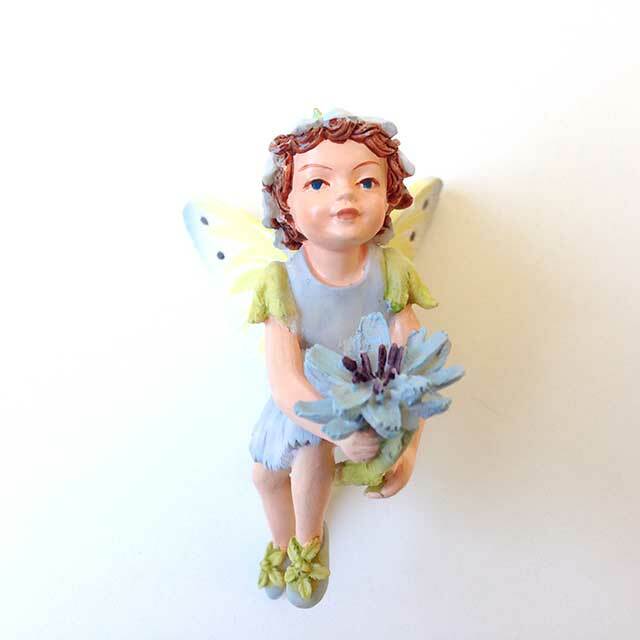 Chicory is one of our favorite flowers in late spring, and this Chicory Fairy figurine thinks so, too. 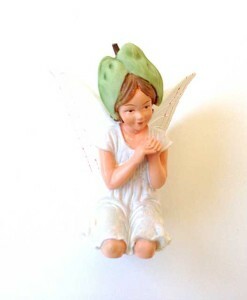 Poised to sit on a bench, in the crook of a tree, or alongside a mossy bank. 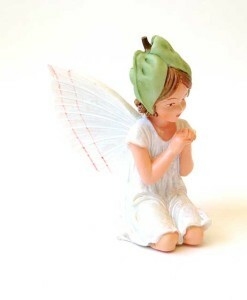 Dimensions: 3 1/8″ tall, 1 7/8″ wide, 2 13/16″ deep.